November 2nd – 23rd, 2019 | Early Bird: $300 Off Tuition! 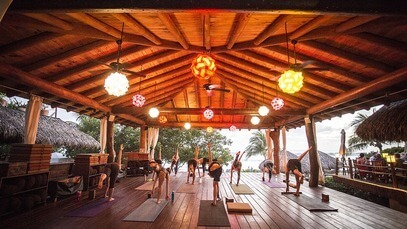 Come to our award-winning Present Moment Retreat and take part in Kula Collective’s 200 hour Yoga Teacher Training & Beachside Cleansing. This is a life-enhancing, transformative experience where you will learn meditation, pranayama, asana, cleansing, shamanic philosophy, application of yogic theory and much more. We believe that the best way to learn Yoga is by living Yoga. Thus, we have developed an experiential curriculum where you will live an immersive yogic life for three weeks while learning the theories behind the practice. 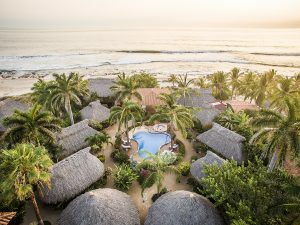 This is a unique program due to its incredible venue and its emphasis on Shamanic Healing and Holistic Cleansing. The cleansing focuses on all aspects of wellness (physical, mental, emotional, and spiritual.) We cleanse in order to reveal your truest self so that you can step onto the mat as a yoga teacher who guides from the pure essence of your Heart and from your connection to Spirit. Realize your inner stillness and access the wisdom that resides deep in your heart and soul. 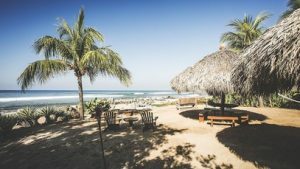 Come join us and awaken the power of your spirit while living in an eco-friendly paradise on the coast of Mexico. ✔ Cleanse body, mind and spirit with raw food, an intestinal cleanse, a liver flush and optional supported fasting. Looking for the best yoga teacher training? Our Yoga Teacher Training is a holistic program; to understand yoga you must first understand self–body, mind, and spirit. The Chakana, or Andean Cross, acts as the guide and foundational structure for the course. The Chakana encompasses a lower world, middle world, and upper world, and within each world we will focus on different types of movement, diet, and meditation. We bring to life the ancient teachings of Yoga through accessible spiritual lessons, a solid foundation in Yogic philosophy, and a daily Yoga practice called The Kula Flow. Visit Kula Collective’s Curriculum Page to learn more! During the training we wake up while the sun rises and experience the beauty and serenity in the midst of a tropical setting. Guided group meditation starts at 6:30 am. Meditation is followed immediately by asana (yoga posture) practice. It includes pranayama, asana, and relaxation. In the afternoon we have our Art-of-Teaching workshop. We also have lectures, discussions and activities that cover yoga philosophy, yoga theory, yogic living, yoga diet, yoga anatomy, and yogic healing. We end our day with after-dinner Satsang (wise gathering) to contemplate and reflect on our sadhana (spiritual practice) of the day. 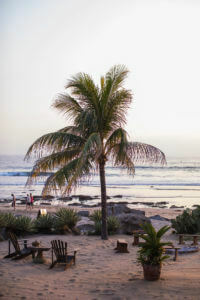 Present Moment is an eco-friendly Yoga Retreat Center and Boutique Hotel directly on the beach in Troncones, Mexico. We specialize in Yoga, Meditation, Qigong, Dance & Healing Arts. 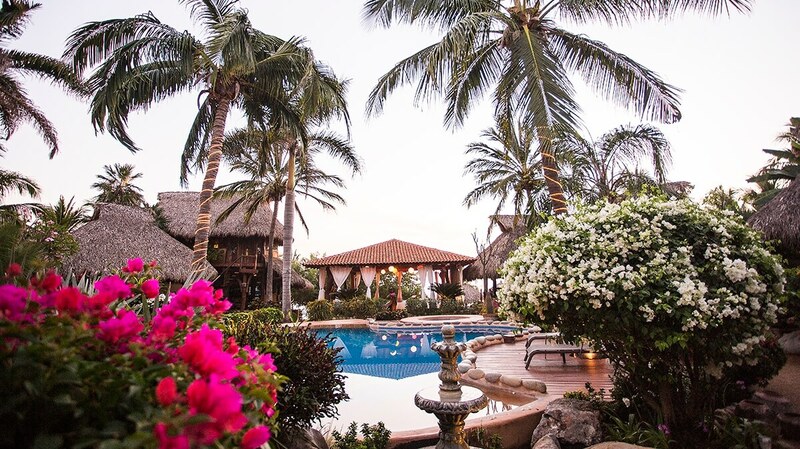 Renew your spirit while meditating in our spiritual gardens or on our private beach; revive your energy with an Oceanside yoga class, and dine on mouthwatering gourmet cuisine. If you want to explore the area, activities include sunset horseback riding, hikes to waterfalls, kayaking, surf-yoga excursions, surf lessons, and more. Click on the respective link to learn more about Present Moment’s Accommodations, Healing Arts, Classes and Activities. Check out what our previous guests have said about us on our TripAdvisor page. **A 3% processing fee will be assessed if paying by Credit Card. You can avoid fees by paying by check. Contact info@thekulacollective.com for alternative payment methods. *If you are traveling alone and would like a shared double room, we will match you with a roommate. *Space is limited, so please sign up soon to guarantee your space. Co-Founder of Present Moment Retreat, Pura Vidya and Kula Collective, and ERYT 500 certified, CJ Ananda is a renowned teacher of yoga, dance and meditation. 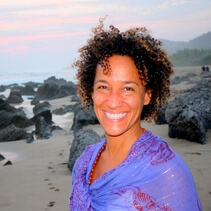 She has combined her joy of these self-healing therapies with her experience as a wellness coach and healing practitioner to create many international retreats and trainings. 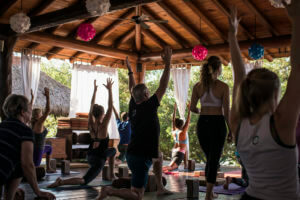 Ananda facilitates 200-hour and 300-hour Yoga Teacher Trainings, Shamanic Cleanses and Retreats, giving each person the heartfelt attention and direct facilitation that cultivates an ecstatic, healing, and magical experience. Ananda and her husband Coby created Pura Vidya as a way to invite individuals to explore the fusion of the two mystical traditions of Yoga and Shamanism and to step into their Wisdom of Self (Vidya.) Yoga (union with the Divine) and Shamanism (interaction with the spirit world) are both practices designed to grant us access to the infinite wisdom we carry within ourselves. She believes in the Hopi saying: “We are the ones that we’ve been waiting for.” Based on this belief, she trusts that we are each here to expand into the greatness of who we are, and as we connect to our inner essence, our Spirit Guides and our callings, we connect to the wholeness of all that is, where we can serve all beings from our highest capacity. She is inspired to inspire… and to continue this journey moment to moment, breath to breath. 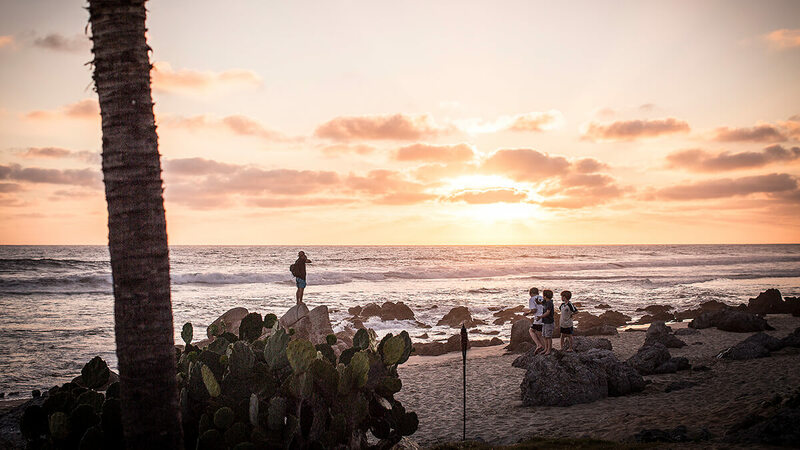 Ananda currently travels between Peru, Guatemala and Troncones, Mexico, the home of Present Moment Retreat, where she holds sacred space for individuals and groups as they journey toward Self Realization and Spiritual Oneness. AHO! In the Light of Love. We are One….